Hannah wasn’t selected for the 2008 UK Olympic Team, or 2009 World Championships. She was determined to see that 2011 turned out differently. In July, Hannah set a lifetime best for 1500m and won her second consecutive UK title, securing her a spot at the IAAF World Championships in Daegu, South Korea. In the 1500m final in Daegu, Hannah allowed the race to unfold in front of her, stayed patient, and waited until the final 100m to move out and kick for home, moving her from seventh all the way into second place. In winning the silver medal in her first major final, Hannah has put herself on the radar as a hometown favorite for the 2012 London Olympics. 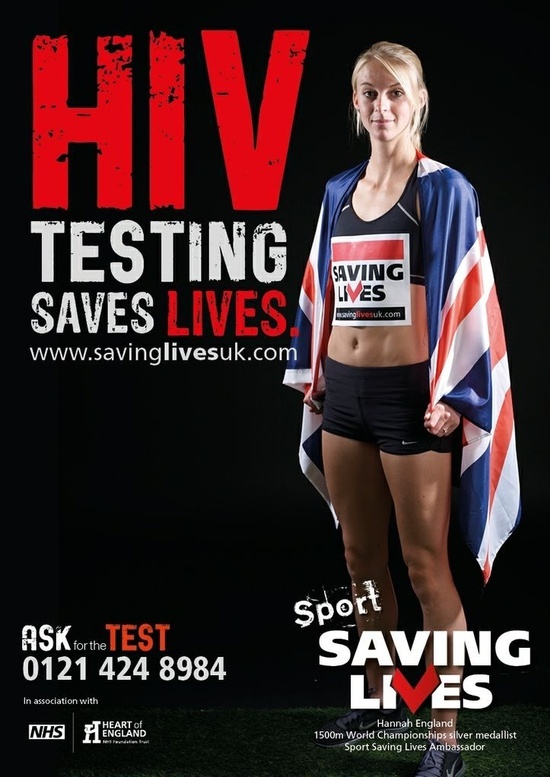 Now, as patron of Sport Saving Lives, she’s aiming to get HIV awareness on the public’s radar, too. We couldn’t be happier to have her support!